Innocent fun or reckless parenting? 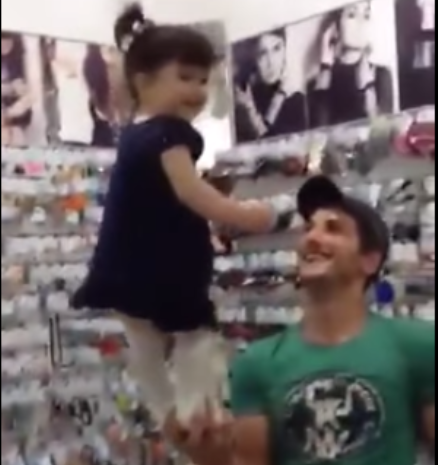 YouTube user Andy Adkins has uploaded a video showing a man swinging a little girl by her ankles in a nerve-wrecking video. The clip, which is titled ‘Dad is better than attraction park’ also shows the toddler coming dangerously close to the floor as she is thrown about. Although she appears to be smiling in the beginning, her mood changes as she starts crying towards the end of the video, which is also captioned ‘she feels good, don't worry’. “This is a CHILD, not a rag doll, she is obviously crying. Please, never again,” commented one person, while others called for the father to be arrested. Useless cook, but a hot handyman. I'm a 59 year old man looking to meet women between the ages of 25 and 47. I'm a 38 year old woman looking to meet men between the ages of 40 and 49.